G. EDWARD VAN GIESEN | I.K International Publishing House Pvt. Ltd.
G. EDWARD VAN GIESEN, MLA, ARCSA AP, is the National Sales Manager at BRAE/WATTS Rainwater Technologies. He brings real world experience as a designer and builder of countless rainwater systems. 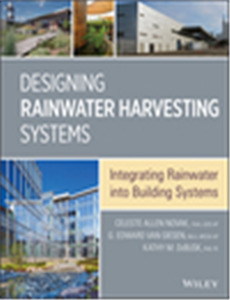 He is instrumental in the development of rainwater codes nationwide, and is an active participant with the ICC and IAPMO.